Oh, sorry. I thought that was what everyone was waiting for. I have two new poems this week in the Loch Raven Review. The poems are creating perfection and suav-ay. Loch Raven is a very high quality journal and I am very pleased to be included in this latest issue, especially since this is my first appearence there. If you would like to take a look at the zine and my poem, click on the Loch Raven Review link on the right side of the page. I have been a Johnny Cash fan from all the way back to the Sun Records rockabilly days. I put up with the silly, commercial stuff like the Sue boy thing because I knew that beneath that was a deep and honest soul that could speak for and to anyone with songs like in the Folsom Prison and San Quentin albums and finally in his last years, the American Recordings series. The most recent release of Johnny Cash recording, Personal File, is a compilation of 49 songs, about half secular and about half not, that he recorded, apparently, just for his own pleasure. The recordings feature just Cash and his guitar doing material he says meant a lot to him over the years. Probably 90 percent of the songs I never heard of before. None of these songs would ever be big on their own, but taken together, they are a testament to honesty and integrity of Johnny Cash and the depth of his love for and committment to the kind of music he grew up with. Closer to home, Holy Groove Records has just released a CD featuring singer/songwriter Andre Lamar. The title of the CD is Remember. If I ever figure out the mp3 thing, I will include a cut from the CD. Other than that, I can only say it is good stuff. To check out Holy Groove Records, click on the link on the right. 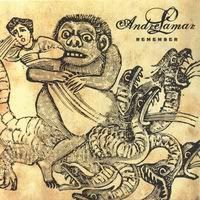 To check out the CD go to www.andrelamar.net. Click on news for order iniformation. Here are two pictures that took me a month to get. There is a herd (if that is what they call a bunch of deer, maybe just a bunch would be good enough) of ten to 12 deer that live in the area of this picture. They usually come in the evening to graze, but I have never been able to get close enough fast enough to get pictures. This one, for some reason, decided to cooperate, coming out in the middle of the afternoon and posing. (Of course, the cooperation was limited. I had to take the picture through my windshield from about 50 yards out. I was very glad to get the pictures because it is likely the deer won't be around much longer due to habitate loss. The picture was taken on the edge of the parking lot of a business park. No more than 200 yards past the greenery in the background a large development of garden homes is going up. Very nice, enviro-sensitive homes, in fact, but leaving, still, no room for either buffalo or deer to roam. Those readers in or near San Antonio should note that Lawrence Trujillo will be opening at One9Zero6 Gallery June 10th, from 6 to 10 pm. The show will run until July 7th. The gallery is located at 1906 S. Flores near downtown San Antonio. Some of us know Lawrence from having worked with him. He is from Albuquerque, New Mexico, but has been painting here in San Antonio for several years now. For more information on the show and Lawrence go to www.1906gallery.com. You can also link with his gallery there to take a look at some of his art. Dave Ruslander and I have never met in person, but we know each other's work pretty well, having read and critiqued each other on several poetry forums. He has a simple and direct approach to poetry, much as I like to imagine I approach the art. His recent book Voices In My Head is a very good collection of the kind of work he does. It includes his poetry as well as exceptional illustrative photos, drawings and other art. Dave lives in rural Virginia and a good part of his work reflects that setting. For example, this is a favorite piece of mine. and the day begins to cool. and black falls out of the blue. If you are interested in more information on the book, email www.dscpublishingllc.com/voicesinmyhead. This is enough for today, I think. If you want to check back occasionally to see what's going on, I will be posting a new edition of the blog every Wednesday. That's my plan anyway. In the meantime, I change poems on the new poems page frequently. Sometime during the course of next week, I will be changing the gallery on the photo page. I have some pictures from a day trip to the Corpus Christi/Rockport/North Padre-Mustang Island area I did a couple of months ago. I will be putting those up. Anyway, just wanted to say hi, blab a bit, and let you know I appreciate your writing and what you're doing here.